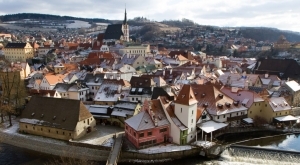 We are pleased to announce that we are accepting applications for the 1st Workshop on Phylogenomics which is being held in beautiful Český Krumlov, Czech Republic from 22 January – 4 February, 2017. More information is below and can be found on our website at http://evomics.org. Application Deadline: 1 October, 2016 is the preferred application deadline, after which time people will be admitted to the course following application review by the admissions committee. However, later applications will certainly be considered for admittance or for placement on a waiting list. Registration Fee: $1,800 USD. Fee includes opening reception and access to all course material, but does not include other meals or housing. Special discounted pricing has been arranged for hotels, pensions and hostels. Information regarding housing and travel will be made to applicants following acceptance. The Workshop on Phylogenomics consists of a series of lectures, demonstrations and computer laboratories that cover various aspects of phylogenomic analysis. Faculty are chosen exclusively for their effectiveness in teaching theory and practice. The course is designed for established investigators, postdoctoral scholars, and advanced graduate students. The Workshop is designed to provide lectures and extensive hands-on laboratories on modern tools and techniques used for the analysis of phylogenomic data. Lecturers and laboratories will be given by a team of internationally recognized scholars. By the end of the Workshop, participants will be familiar: Lectures and computer laboratories total ~90 hours of scheduled instruction.